Creating a movie that can live up to the crazy life and legacy of rock legend Freddie Mercury is no easy feat to pull off, so “Bohemian Rhapsody” had some pretty big shoes to fill. On the entertainment front, it succeeds in being a fun movie to watch, but diehard fans of Queen shouldn’t expect a 100 percent perfect retelling of the story. “Bohemian Rhapsody” suffers from a bit of an identity crisis. Despite being billed as a Queen biopic, it really is more of Mercury’s biopic. Mercury’s life is still incredibly fascinating, so that isn’t necessarily a bad thing. The film follows Mercury from the moment he meets his bandmates up until Queen’s legendary performance at Live Aid 1985. Over the 133-minute runtime, I was overcome with feelings of joy, sadness and inspiration. Despite the story not being entirely accurate to the legendary rockers’ come-up, I still left the theater with a whole new appreciation for Queen and their music. Watching the band come up with some of their biggest hits motivated me to want to go home and try and write something myself. That is the power Queen had all those years ago and still has to this date. The best parts of the movie are easily whenever the band is playing music. Watching these recreations of the wild concerts Queen put on are the closest a lot of us will ever get to seeing them live. Although all of the actors do a great job of portraying their real-life counterparts, Rami Malek’s performance as Mercury is exceptionally good. For anyone who knows what Mercury was like, Malek has it all down, from the way he walks, talks, acts, and looks to the way he sings. It is easily an Oscar-worthy performance for sure. The one area that may anger Queen fans is the cookie-cutter story. Sure, it is the Queen story, but it is probably the most basic retelling of the story that is out there, only just touching on various points of the band’s illustrious history. Mercury did not live a PG-13 rated life, so the film would have benefitted from getting that R rating so it can go into more detail of everything Mercury and the band really went through. As I said, the film is still entertaining, especially for musicians or fans of music history in general, but the decision to rate the film PG-13 only holds it back more than anything. “Bohemian Rhapsody” was always going to be a divisive film. 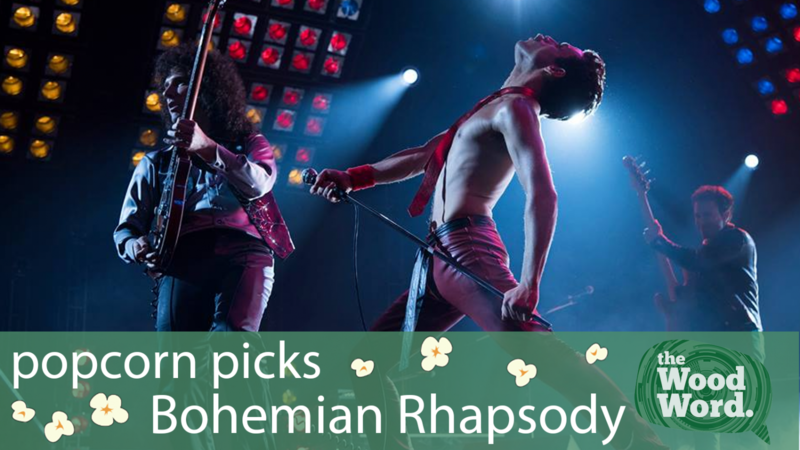 Queen and Mercury especially are held to very high regard by many, so this film couldn’t possibly please everyone. Being a musician myself, I was never offended by the way the film was handled and actually came out of the theater having really enjoyed myself and feeling somewhat inspired. “Bohemian Rhapsody” is a film that everyone should at least give a shot, but there is no guarantee that Queen diehards are going to love it.